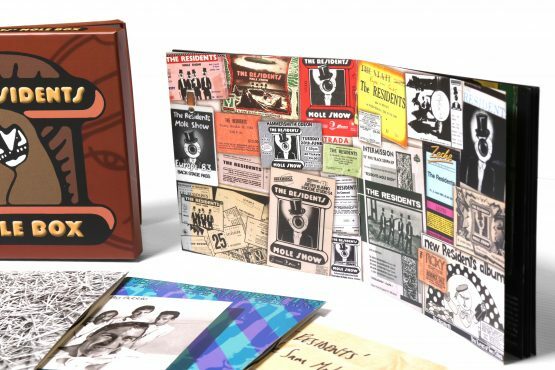 Remastered, expanded, and pREServed for future generations – this is the latest in a series of archival Residents reissues that will continue throughout 2019 and beyond. 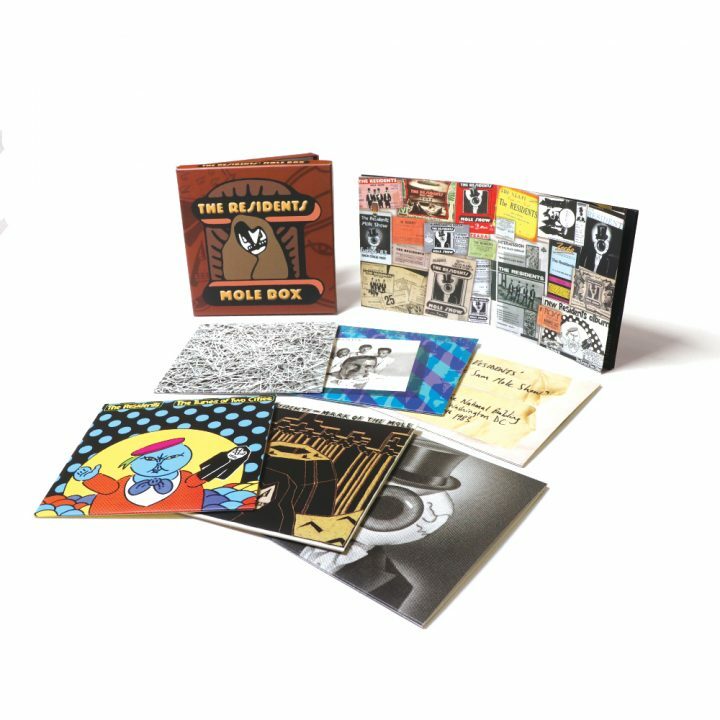 THE COMPLETE MOLE TRILOGY EXPANDED – THREE STUDIO ALBUMS, A LIVE ALBUM, PLUS PREVIOUSLY UNRELEASED STUDIO MATERIAL AND A COMPLETE UNRELEASED LIVE RECORDING. 20 UNRELEASED TRACKS! ALMOST THREE HOURS OF PREVIOUSLY UNRELEASED RESIDENTS MUSIC! THE ENTIRE UNRELEASED AND LEGENDARY UNCLE SAM MOLE SHOW. LIVE-IN-THE-STUDIO PERFORMANCES, DEMOS, UNISSUED TRACKS, REHEARSAL ROOM RECORDINGS, LIVE MATERIAL AND MORE – DEEP INSIGHT INTO THE SEMINAL TRILOGY! 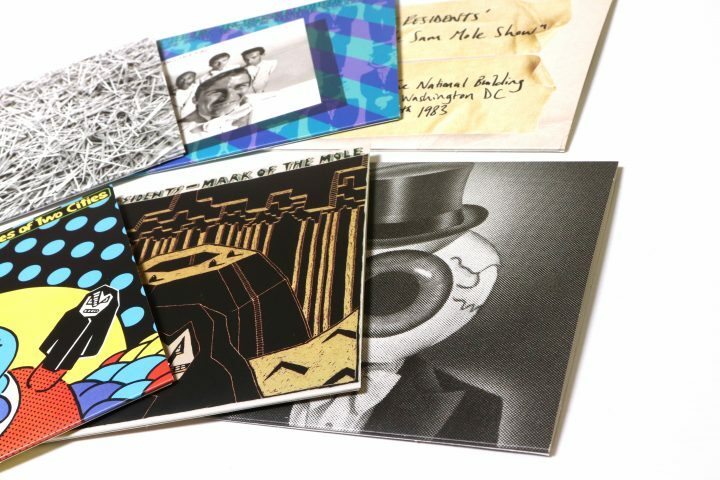 Between 1981 and 1985 The Residents embarked on what would become the infamous, ultimately incomplete ‘Mole Trilogy’. Intended to tell the story of two colliding cultures – the Moles and the Chubs – via the mediums of narrative storytelling and recreations of the music of those societies, the project took the band into unchartered musical territory, into the concert halls of the USA and Europe for the first time and, legend has it, to the brink of collapse. Produced with The Cryptic Corporation using archival tapes supplied by The Residents themselves, this set presents, for the first time, all known recordings related to the ‘Mole’ saga – namely the albums “Mark Of The Mole”, “The Tunes Of Two Cities” and “The Big Bubble”, as well as live recordings, unreleased material, rehearsal room recordings, alternate mixes, demos and a selection of recordings which may or may not comprise part of the legendary, unreleased Part Three of the trilogy. 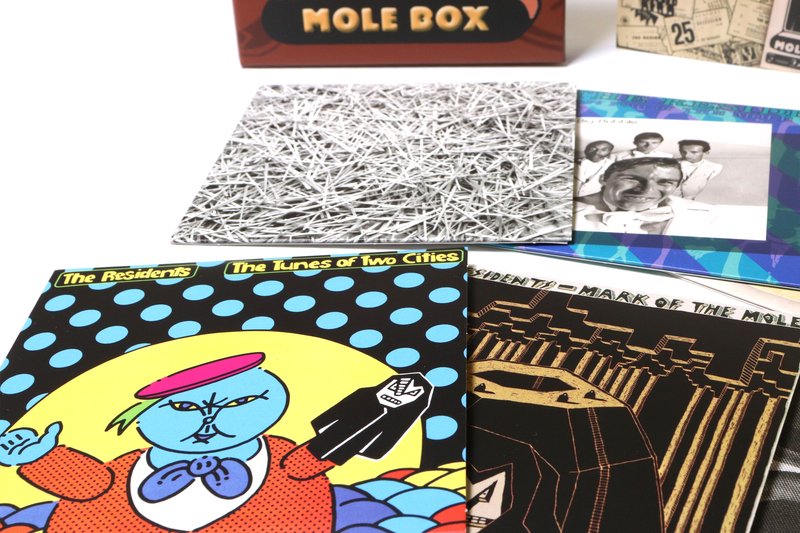 A significant leap, both sonically and conceptually, from their 1970s work, the “Mole Trilogy” proves to be the link between the freewheeling, avant-garde leanings of The Residents’ early material and the concept-driven, electronically produced music they would explore in the latter half of the 1980s and beyond. Packed with almost three hours (by our count) of previously unreleased music, this set is a must- hear for fans of San Francisco’s most infamous and increasingly unfathomable quartet. Remastered, expanded, and pREServed for future generations – this is the latest in a series of archival Residents reissues that will continue throughout 2019 and beyond. Look out for American Composers Series and God In 3 Persons sets coming soon!